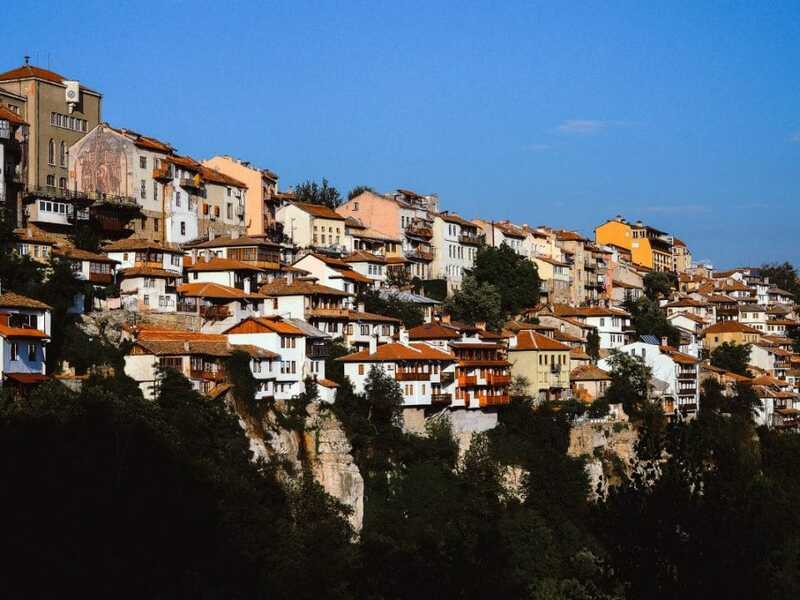 We were intrigued by Martin’s in-depth historical knowledge and zest for showing us his city. We really enjoyed his take on Bulgaria! We had daniele and he was excellent. Although I took it later in my holiday it was still worth it. Best to know beforehand there is a lot of climbing up and down steps. And don’t be mean with your donation! Alex, the tour guide, gave us a well presented, fun but very informative tour covering the main central sites and helping us to get our bearings. The tour group was engaged through questions as well as a historical game! Great first thing to do in Sofia – now off to investigate some of the sights in more detail. I am from Sofia and a colleague of mine recommended that I take our guest from Russia to the free tour. The group for the tour turned out to be a total of 40 people from different nationalities – Belgian, German, English, Indian, Russian, etc. Our tour guide was Kristina. The route took us through most of the inner city center stressing on the ancient and recent history of the places that we saw left and right. The tour is outdoors only – the guide states this explicitly. It’s cool that she told us which of the places that we saw can be visited as museums. What to bring to the tour: definitely a camera. A lot of architectural wonders to behold and from different angels too! Check out the weather forecast before taking the tour – it’s 2 hours long so you don’t want to freeze or be sweaty by the time it’s over. Best parts: very good route; knowledgeable, professional, positive guide who handled with care a group of 40(!) people on a late and chilly autumn afternoon. Very good sense of pace and positioning for the lectures. Worst part: during two of the stops for a lecture, there was some or a lot of background noise so we couldn’t hear Kristina very well. – the Bulgarian Parlament – it’s near the destination of the tour so it can at least be mentioned if someone wants to see it. It’s a beautiful building and the Tzar Osvoboditel square is also very nice. – the National Library – it’s also near Alexander Nevski so it can at least be mentioned as a subsequent visit. 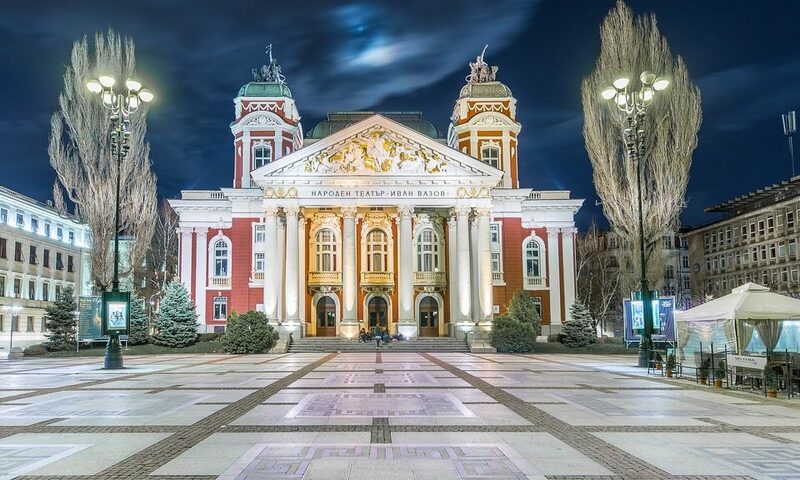 – the National Theater Ivan Vazov – it’s a very beatiful building with an awesome facade and a nice fountain and part in front of it. – the Halls of Commerse (Halite) – it’s a shopping hall within a well renovated building. Actually, I have been to sofia 2 times. At first, we did not know about this tour but then we found this during our second visit to sofia. It was really great. In my opinion, it should be the first thing during your sofia visit. 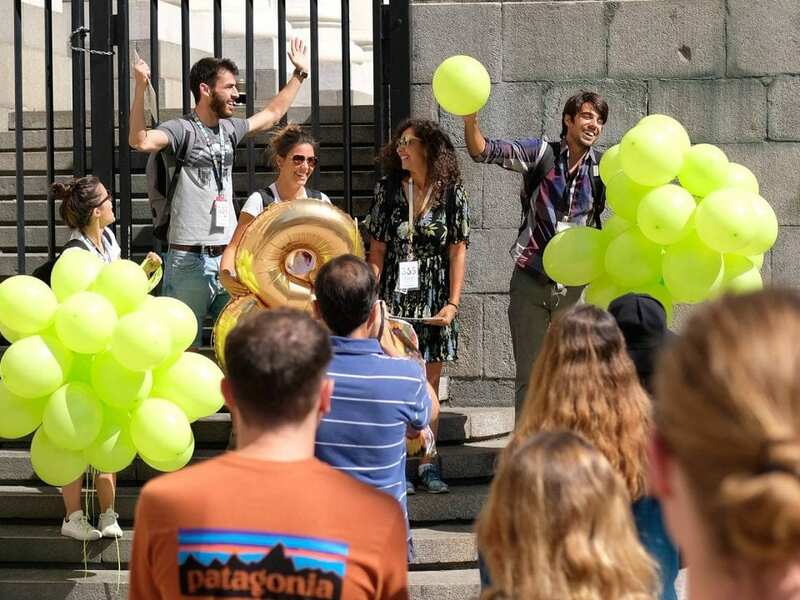 Join the tour and have a general idea about the places, city and known things actually which are wrong. It takes 2 h. Meet the group at the palace of justice. It happens twice in a day. Guides are very friendly and have knowledge about their city. Our guide was Alex. She was very nice, helpful and well informed. We visited important parts of the city and learned what we didnt know about the city. After the tour, you can decide the places that you want to see more detailed. 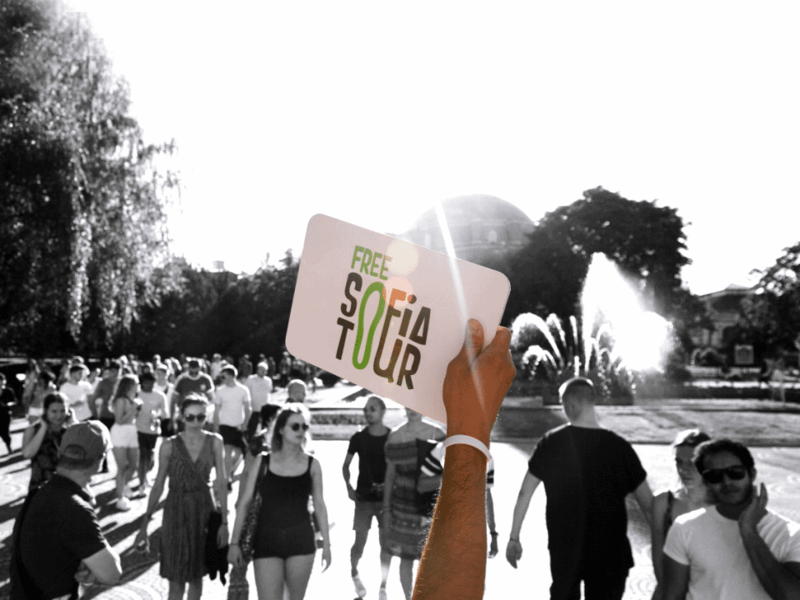 I have been to Sofia with my son (21 year old) and we took the free Sofia tour. We have walked through the churches, mosque, and synagogue in the streets of Sofia. We felt the history of the empires and the atmosphere of the statues, buildings, palace, and mountain nearby. We heard the stories about Boris the 3rd, the monarch, the communists and world war 2.It was real pleasure to discover the known and hidden parts of the city. Our guide, Victoria knew the way how to merge history, art, architecture, communists, humor and lion stories in a very intelligent and interesting way. 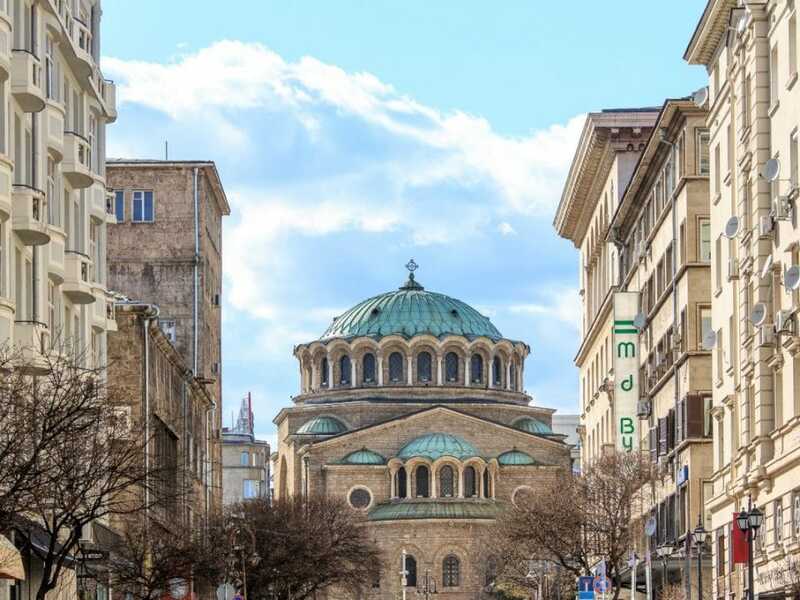 Offered twice a day at 11am and 6pm, the Free Sofia Tour is a must for anyone who wants to learn about the city and be introduced to its main attractions. The guide was a local who was highly knowledgeable, engaging, personable and a great storyteller. She made Sofia’s history come to life for her very large audience. I recommend this to all visitors with a couple hours to spare – a fabulous introduction to the city!